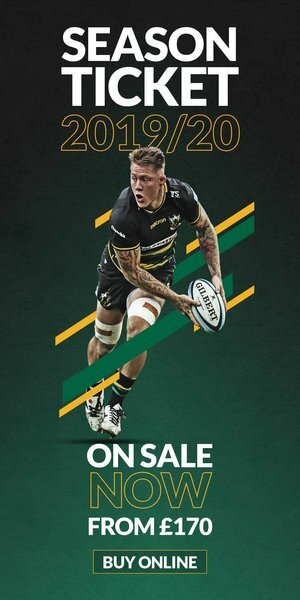 Tickets for Northampton Saints’ clash with Sale Sharks in round thirteen of the Gallagher Premiership are on sale now. Heading back into the league competition off the back of outings in both the European Challenge Cup and Premiership Rugby Cup, Saints return home to host Sale in their first league game in February. And after a disappointing loss at the AJ Bell earlier this season, the men in Black Green and Gold will be looking to make it one all when they welcome Sale on Saturday 16 February (kick-off 2pm). Saints will be hoping to cement their place in the Gallagher Premiership’s top six as they look for their first home victory over the northerners since December 2016. Tickets are on sale now, with early bird prices starting at £22 adults and £10 juniors. CLICK HERE to get yours now.